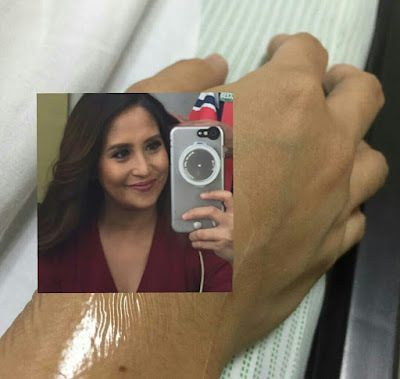 TV host and actress Jolina Magdangal was rushed to the hospital again this morning, husband Mark Escueta has shared on Instagram. Escueta shared a photo of Jolina's hand while she's undergoing series of tests at the hospital. 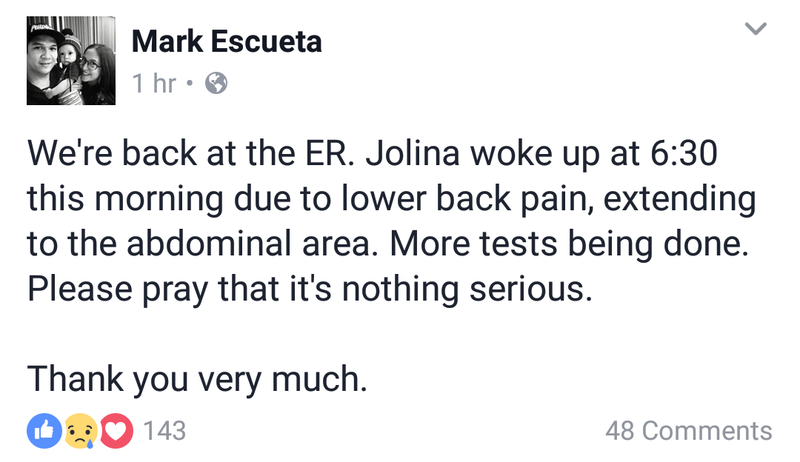 In the caption, he said that Jolina woke up 630AM today experiencing back and abdominal pains. @mariajolina.ig: "Hi, si Mark ito. Ako na muna ang nagpost sa ig ni Jolina. 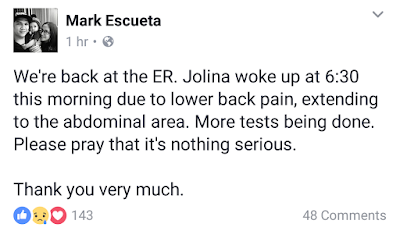 Kaninang 6:30am nagising si Jolina dahil masakit daw ang lower back niya, hanggang harapan. Nandito nanaman kami sa ER. May additional tests na kailangang gawin. Please pray that it's nothing serious, at hindi rin complication nung aksidente nung Monday. 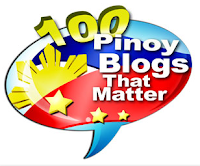 Maraming salamat." An hour later, a more worried Mark posted again this time in his own Facebook account, asking everyone again to pray. Jolina was already hospitalized Monday last week after sustaining minor injuries from a vehicular accident. After being discharged, she and her family pushed through with their planned Hong Kong vacation, then she immediately went back to work after their HK trip, did live episode for 'Magandang Buhay" last Thursday and taped more episodes, including that soon-to-be aired episode with Maymay Entrata and Elisse Joson as the guests. She also reported for ASAP yesterday to host the LSS segment.